The appeal of the cuff bracelet. The statement piece that almost becomes a strong symbol of the woman who wears it. There is, quite simply, nothing like the cuff bracelet. A cuff bracelet has an open portion or gap that allows you to slip the bracelet over your wrist, without the use of clasps. Made out of strong materials, the cuff bracelet takes on an air of indestructibility to the wearer. Stacked or worn alone, the cuff bracelet is a powerful and fashionable accessory of personal style. The cuff bracelet has an intriguing history of adornment dating back several thousands of years.The first bracelets worn as fashionable adornment may have begun as far back a 7,000 years ago. Iconic status, indeed! Prominent in Egyptian, Mayan and Incan, Greek and Chinese history, its adornment is certainly long standing. Interestingly, in the Mayan culture, jewelry was a significant aspect to royal attire of Mayan kings and a key measure of social class. Not only did the cuff bracelet’s different designs measure class, but also denoted rank within a family. Who knew? From the beginning of the First Dynasty (2680 BC), Egyptians wore bracelets made of gold and silver, decorated with semiprecious stones and were worn as decorative accessories rather than than ritualistic purposes. The Ancient Greeks also wore cuffs, on the upper arm, as decoration. Interestingly, Greek soldiers wore wide leather and metal cuffs not only for decoration in uniform, but also for protection. This practical and fashionable style was eventually copied by Roman soldiers. In Asia, around 2000 BC, intricate, detailed cuffs were carved from jade and Gold was etched with elaborate patterns of nature, animals and mythical creatures. In Europe, during the 17th century, bracelets became common fashionable accessories. It is said that a mass of thin bangles worn with ribbons became a popular look. Again, who knew? 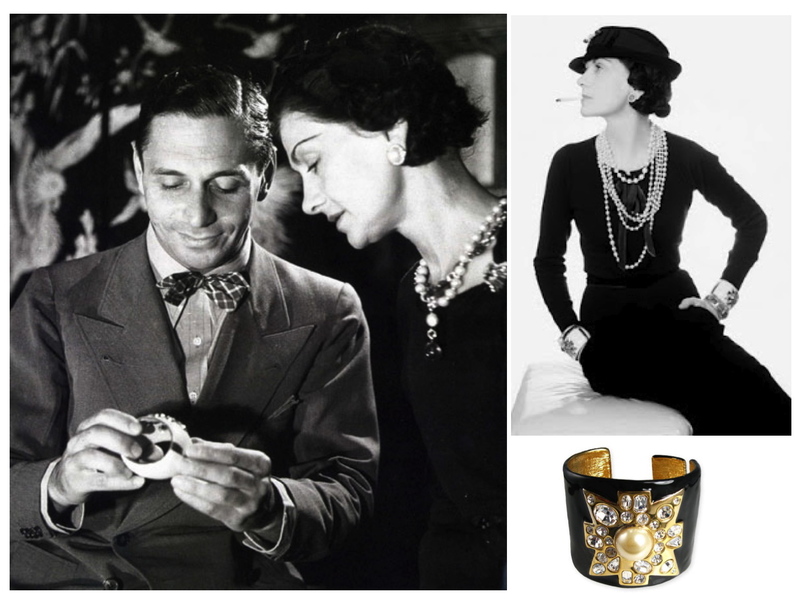 Coco Chanel’s iconic Maltese Cross cuffs, is said to have been inspired by Byzantine artwork she discovered during her travels, but history also acknowledges that Chanel was given a gift of a Maltese cross by Grand Duke Dmitri of Russia. Either way, an inspired chanel began a collaboration of her design paired with the design skill of Duke Fulco di Verdura in 1936. This iconic bracelet is still produced today and is fitted to the customer’s wrist! Some have a detachable cross that can interchange with cuffs of various materials. Functional art for fashion, indeed! The Maltese cuff became one of Verdura’s most celebrated motifs and was the springboard that launched Verdura into the spotlight that has yet to fade. In fact, by the late 1930’s, it is said that Hollywood starlets and aristocrats everywhere were clamoring for Verdura’s jewelry. Oh, to possess a Chanel/Verdura cuff bracelet!! Consider the bold statement of a cuff bracelet. Bold simplicity in style. The varieties available of these distinctive bracelets certainly can appeal to our own sense of fashion and personal style. Whether found in vintage bakelite (a dense synthetic resin molded and carved) which was popular in the 1940’s or in precious or even artful metals, lucite or molded plastics, this is a timeless accessory that will never go out of style. Personally, I adore the thick cuffs, although there are certainly stunning thinner cuffs available. Perhaps a consideration of layering a variety of thicknesses can create a style unique to personal style sense? 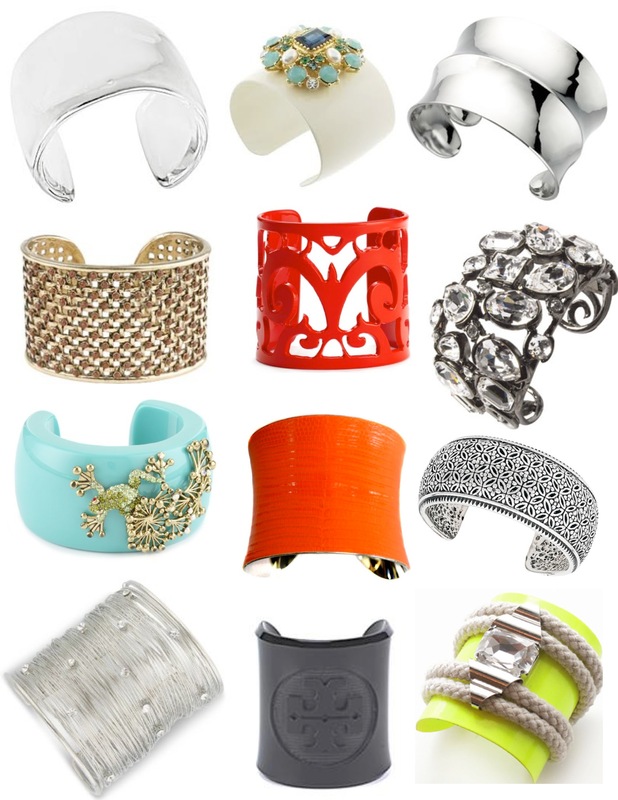 However you chose, you cannot go wrong with even just one bold, thick cuff. Bold and stylish, the cuff bracelet is a worthy investment. Why settle for one? 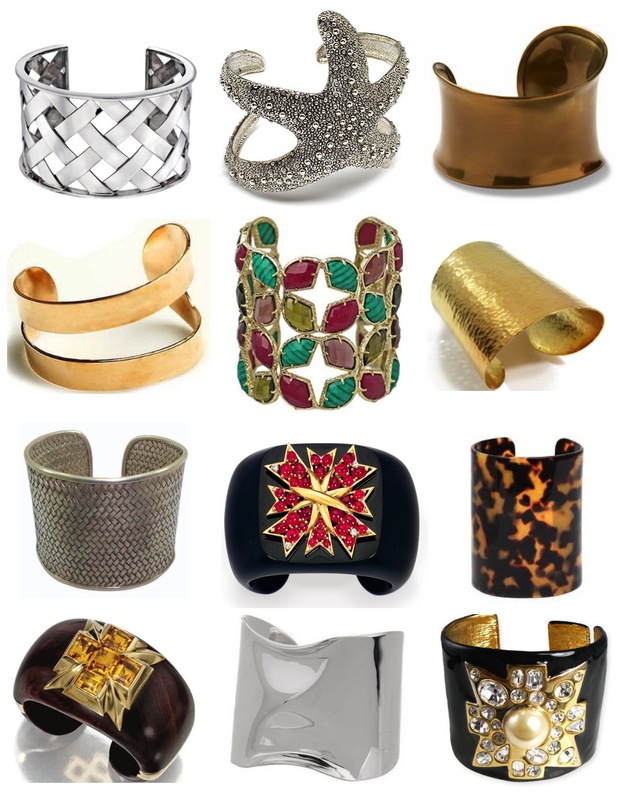 As our moods shift and our attire beckons, there is surely a cuff bracelet for every whim of our daily inspirations. To be cuffed in style, indeed…. Thrilled to learn you love to read my blog and actually look forward to my posts! What an incredible compliment! Congrats on your new iphone- life changing, indeed! Thanks so much for sharing your thoughts, Dan. Thank you, Cristiana! I appreciate your comment. Please stop by again! 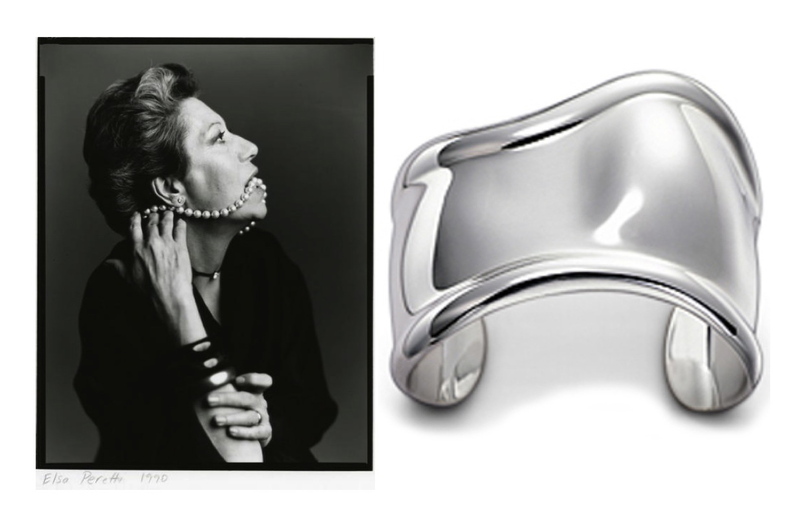 I absolutely love my Elsa Peretti bone cuff! Thanks for sharing, Carla! What an amazing, timeless cuff you have! I am sure you will enjoy it for many years to come. Enduring style, for certain!